Xinhui Mandarin Oranges pair with Yunnan Pu-erh, which combines the fresh fruity aroma and the mellow taste of Pu-erh tea, forming a unique taste and flavor, and is loved by many people. Bi luochun green tea is one of the 10 famous Chinese teas. Bi luochunis produced in Dongting mountains, Taihu Lake, Wuxian, Jiangsu. Bi luochun is always known in China by the saying “one tender three fresh”. 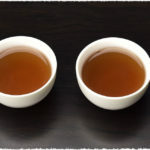 How to brew Chinese Gunpowder tea? Gunpowder tea is mostly produced in Fuding, Fujian province of China. It is a famous non-fermented traditional Chinese green tea. It’s a black color roasted and rolled green tea which looks like the gunpowder. No matter how you will brew your gunpowder tea, no matter which ways you choose, it could also give you fantasy feelings after you steep it. 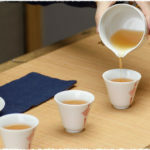 Bailin Gongfu is different from usual black tea. After brewing it get beautiful red color and refreshing taste. This tea is quite unique as it is picked, processed and finally made with a very complicated procedure. 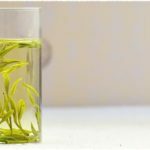 Zhen Mei green tea, also known as Chun Mei, or Chun Mee, is nicknamed “Precious Eyebrow Tea” because of the shape of its leaves. Chun Mei is a non-fermented green tea so the tea keeps the fresh leaf&apos;s natural nutrients in the leaves.